"Muktinath" or mistakenly called "Mukthinath" word is derived from "Mukti" and "Nath". "Mukti" means "Salvation or Nirvana" and "Nath" means "God or Master". 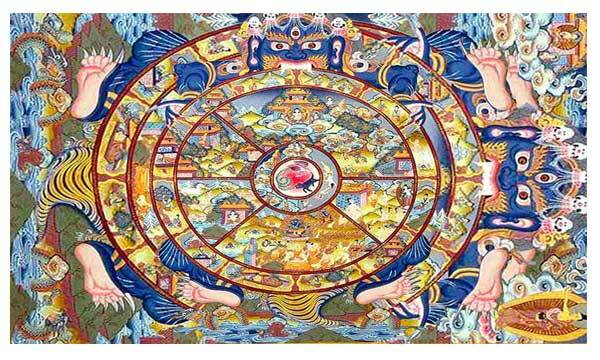 Mukti holds great significance for all spiritual people in the south Asian sub-continent. Muktinath this Sanskrit name itself has religious overtone and a sort of emotional ring to it for the devout Hindus. Muktinath Temple is located at an altitude of 3710 meters above sea level and situated 24 km northeast direction of Jomsom. Muktinath Mandir can also be reached after crossing Thorong-La mountain pass in Annapurna Conservation Area, Mustang district of Nepal. This temple is covered in one of the famous trekking route "Annapurna Circuit". Option 01: By Road - 2 nights (Kathmandu - Pokhara - Jomsom - Muktinath) How to go to Muktinath Temple by road? Muktinath Temple can be accessed by a roadway from Kathmandu to Pokhara following the Prithvi Highway after that crossing Beni, Tatopani, Ghasa, Marpha, Jomsom, and Kagbeni. First halt: Muktinath Tour via road begins from Pokhara and will be a good idea to spend one overnight which is 206 km far from Kathmandu, 910 meters above sea level and the journey takes around 7 hours. The road is blacktop and comfortable for the journey. Whereas Pokhara is easily accessible by 25 minutes flight from Kathmandu. You can easily find different categories hotel from standard to five-star level as per your choice. Most of the popular hotels, shopping center, and restaurant are located near Lakeside and they do accept the major Credit Card, Visa Card, Master Card, AMX, and more. You can enjoy varieties of foods with live music and cultural dance shows in the different restaurant here. Second halt: Pokhara to Muktinath by road might need one night stop at Jomsom which is located at an altitude of 2734 meters and 170 km far from Pokhara. Roads up to Beni - 100 km are blacktop and comfortable for the journey whereas next 70 km up to Jomsom are off-road. It might take 8/9 hours to reach Jomsom. Please do not expect for the star hotel here. Jomsom is also connected via air-way from Pokhara. 15 minutes flight from Pokhara will take you to the Jomsom. And on the same day, you can visit Muktinath Temple and return back to Jomsom as well. On the very next day morning, walk for 25 minutes to catch a Jeep then 1:30 hour drive to Ranipauwa - Jeep Station at Muktinath Temple (3710m) and again hike for 25 minutes till the temple entrance. Have darshan/pooja at the temple and either return directly to Pokhara or halt at Beni. Option 02: By Flight - 1 night (Kathmandu - Pokhara - Jomsom - Muktinath) which is the closest airport to Muktinath Temple? 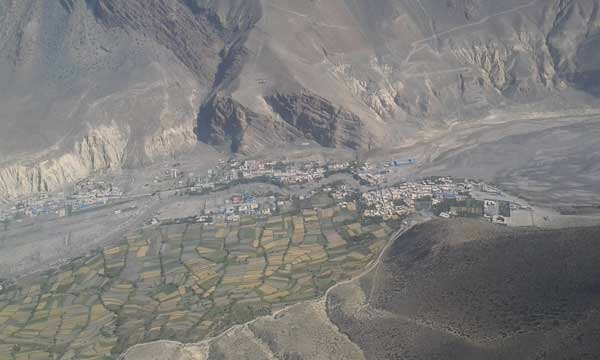 Jomsom is the nearer airport to reach Muktinath Temple. There are no direct flights from Kathmandu. First, take a flight to Pokhara, then to Jomsom. Since Jomsom is the windy place; flights are operated in the early morning only if the weather permits. Sometimes flight might get canceled due to bad weather. So, one night stay at Pokhara is the must and takes next day morning flight to Jomsom. 18 seats Twin Otter plane carries passengers on this route. 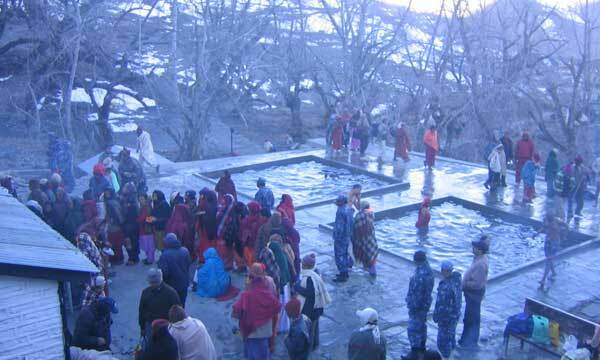 Muktinath tour by helicopter is operated from Kathmandu. 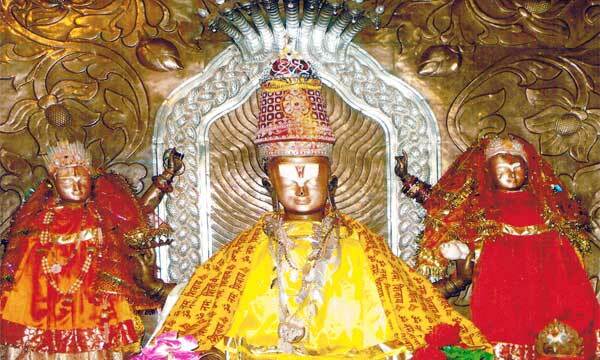 Muktinath Temple is in just one and half hour flying distance by helicopter. The helipad is located at Ranipauwa. From here the temple can be reached via 30 minutes walking. Perform pooja/darshan at the temple and fly back to Kathmandu. 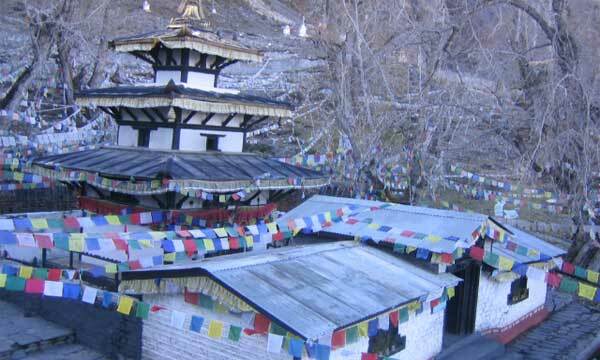 Muktinath Temple can also be visited via adventurous trek. 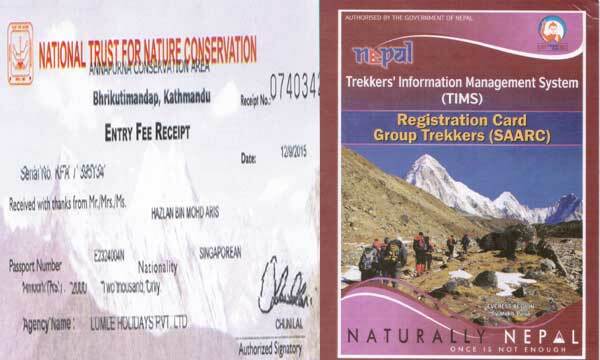 Fist get yourself at Pokhara and trek starts from Nayapul (1 hr drive) following an overnight stay at Tikhedunga, Ghorepani, Tatopani, Ghasa, Marpha, Kagbeni then to Muktinath. The average walking duration is 7 to 8 hours per day. 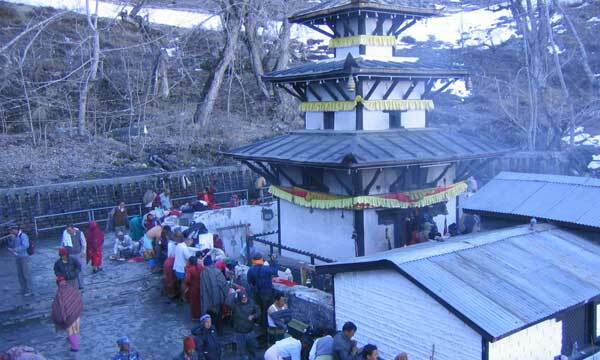 What permits are required to visit Muktinath Temple? What are the best months to visit Muktinath? 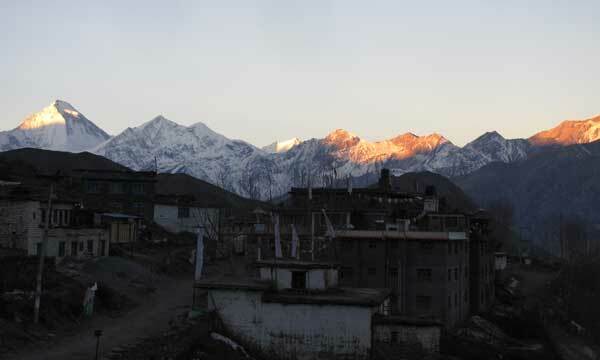 March, April, May, June, September, October, and November are the best time to visit Muktinath. During these months the weather will be clear and snowcapped mountains can be observed closely. Muktinath Temple after the earthquake? The latest earthquake in Nepal (April 2015) hasn't affected Muktinath Temple. It is totally safe and secure to travel. Only Gorkha, Kathmandu, Langtang and Everest region was damaged but now, all places are safe to visit.